ROSA IRELAND IS planning to distribute abortion pills to cities and universities around Ireland. The organisation is part of the movement calling for the Eighth Amendment of the Constitution, which gives equal status to the unborn and the mother, to be repealed. The ‘Bus 4 Repeal’ will start its journey in Dublin on 6 March before travelling to a number of cities and universities, and returning to the capital on 8 March. 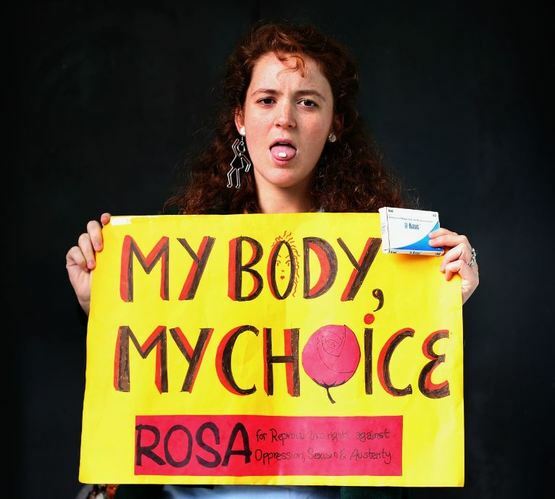 In a statement, Rosa said the purpose of the tour is “both to provide direct assistance to those in need of safe abortion pills and to campaign for the repeal of the Eighth Amendment to legalise abortion in Ireland”. The Citizens’ Assembly, made up of a chairperson and 99 citizens, has held a number of hearings about abortion and is expected to deliver a report in the coming months on whether or not a referendum on repealing the Eighth Amendment should take place. The assembly received over 13,000 submissions about the issue. Both pro- and anti-amendment groups had encouraged members of the public to submit their views for consideration. Figures, now that the Irish have abandoned the Church, they turn to suicide. No, Mr. Dunkle. If you want an example of national suicide, you need to look at America. Yeah, us too, unless The Donald comes to the rescue.